Ciao malo kutijico ci mancherai.. 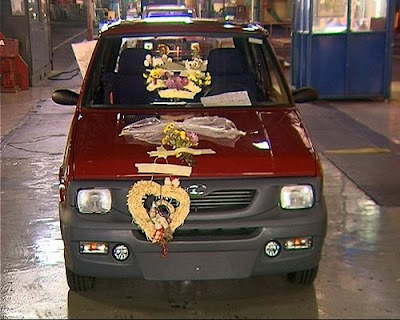 The last Yugo, manufactured in Zastava Kragujevac on Nov. 11, under the serial number 794428. But, no driver will become its owner, since the company says it will ship it to its museum. Što se događa u Hrvatskoj?